Mr. Aryal has a PhD Degree in Resource Economics from Norwegian University of Life Sciences. He possesses Master’s degrees of Science in Development and Resources Economics; Public Administration; and Economics. 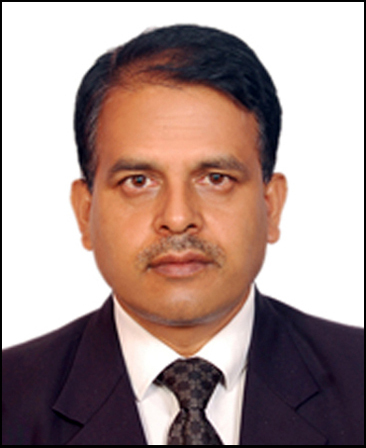 He has profound experience in Economic Sector of Nepal. He has significantly contributed in the area of National Planning Process and Economic Sector Management of Nepal. He started his career in civil service of Nepal in July 1992 as Section Officer at the Postal Services Department where he served for seven years in various capacities. He contributed to Nepal’s periodic planning process in the capacity of Program Director in National Planning Commission of Nepal for ten years. He significantly contributed to prepare sixth Medium Term Expenditure Framework and in the process of need assessment for the Millennium Developments Goals of Nepal. He served to the office of the Prime Minister and Council of Minister of Nepal from 2009 to 2011, where he was division chief of the Economic and Infrastructure Development Division. He joined Ministry of Finance in 2011, where he served in Economic Policy Analysis Division, Budget and Program Division and International Economic Cooperation Division. During his tenure in Ministry of Finance, he has initiated several reform initiatives in public finance management. He joined National Natural Resources and Fiscal commission in December 2017 as the first Secretary of this newly established organization.